Most companies that want to compete in today's markets try to differentiate thenselves with the innovative services. 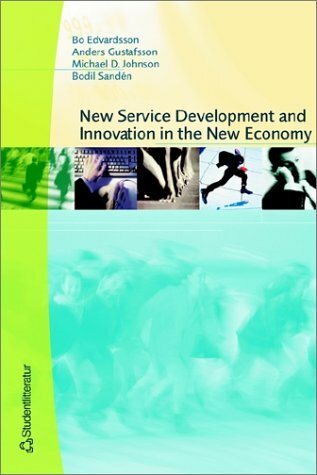 New Service Development and Innovation in the New Economy focuses on the introduction and development of new competitive services. Practical tools for the process are provided together with valuable insights into the theoretical methods for the development of new services. We accept payments from major credit cards through abebooks. Orders usually ship within 2 business days. If your book order is heavy or oversized, we may contact you to request approval of additional shipping charges.